“Type specimen” redirects here. For the mineralogy term, see type specimen (mineralogy). This process is crucial to the science of biological taxonomy. People’s ideas of how living things should be grouped change and shift over time. How do we know that what we call “Canis lupus” is the same thing, or approximately the same thing, as what they will be calling “Canis lupus” in 200 years’ time? It is possible to check this because there is a particular wolf specimen preserved in Sweden and everyone who uses that name – no matter what else they may mean by it – will include that particular specimen. Note that at least for type specimens there is no requirement for a “typical” individual to be used. Genera and families, particularly those established by early taxonomists, tend to be named after species that are more “typical” for them, but here too this is not always the case and due to changes in systematics cannot be. Hence, the term name-bearing type or onomatophore is sometimes used, to denote the fact that biological types do not define “typical” individuals or taxa, but rather fix a scientific name to a specific operational taxonomic unit. Type specimens are theoretically even allowed to be aberrant or deformed individuals or color variations, though this is rarely chosen to be the case, as it makes it hard to determine to which population the individual belonged. Ce seul caractère permet de distinguer ce type de toutes les autres espèces de la section. … Après avoir étudié ces diverses formes, j’en arrivai à les considérer comme appartenant à un seul et même type spécifique. Translation: This single character permits [one to] distinguish this type from all other species of the section … After studying the diverse forms, I came to consider them as belonging to the one and the same specific type. A detailed picture of something that can be seen only through a microscope. A tiny “plant” on a microscope slide makes for a poor type: the microscope slide may be lost or damaged, or it may be very difficult to find the “plant” in question among whatever else is on the microscope slide. An illustration makes for a much more reliable type (Art 37.5 of the Vienna Code, 2006). Note that a type does not determine the circumscription of the taxon. For example, the common dandelion is a controversial taxon: some botanists consider it to consist of over a hundred species, and others regard it as a single species. The type of the name Taraxacum officinale is the same whether the circumscription of the species includes all those small species (Taraxacum officinale is a “big” species) or whether the circumscription is limited to only one small species among the other hundred (Taraxacum officinale is a “small” species). The name Taraxacum officinale is the same and the type of the name is the same, but the extent of what the name actually applies to varies greatly. Setting the circumscription of a taxon is done by a taxonomist in a publication. Note that the word “type” appears in botanical literature as a part of some older terms that have no status under the ICN: for example a clonotype. A type specimen is a vernacular term (not a formally defined term) typically used for an individual or fossil that is any of the various name-bearing types for a species. For example, the type specimen for the species Homo neanderthalensis was the specimen “Neanderthal-1” discovered by Johann Karl Fuhlrott in 1856 at Feldhofer in the Neander Valley in Germany, consisting of a skullcap, thigh bones, part of a pelvis, some ribs, and some arm and shoulder bones. There may be more than one type specimen, but there is (at least in modern times) only one holotype. The type series are all those specimens included by the author in a taxon’s formal description, unless the author explicitly or implicitly excludes them as part of the series. A lectotype is a specimen later selected to serve as the single type specimen for species originally described from a set of syntypes. In zoology, a lectotype is a kind of name-bearing type. When a species was originally described on the basis of a name-bearing type consisting of multiple specimens, one of those may be designated as the lectotype. Having a single name-bearing type reduces the potential for confusion, especially considering that it is not uncommon for a series of syntypes to contain specimens of more than one species. A special case in Protistans where the type consists of two or more specimens of “directly related individuals representing distinct stages in the life cycle”; these are collectively treated as a single entity, and lectotypes cannot be designated from among them. The ICZN has existed only since 1961, when the first edition of the Code was published. The ICZN does not always demand a type specimen for the historical validity of a species, and many “type-less” species do exist. The current edition of the Code, Article 75.3, prohibits the designation of a neotype unless there is “an exceptional need” for “clarifying the taxonomic status” of a species (Article 75.2). There are many other permutations and variations on terms using the suffix “-type” (e.g., allotype, cotype, topotype, generitype, isotype, isoneotype, isolectotype, etc.) but these are not formally regulated by the Code, and a great many are obsolete and/or idiosyncratic. However, some of these categories can potentially apply to genuine type specimens, such as a neotype; e.g., isotypic/topotypic specimens are preferred to other specimens, when they are available at the time a neotype is chosen (because they are from the same time and/or place as the original type). Each genus must have a designated type species (the term “genotype” was once used for this but has been abandoned because the word has become much better known as the term for a different concept in genetics). The description of a genus is usually based primarily on its type species, modified and expanded by the features of other included species. The generic name is permanently associated with the name-bearing type of its type species. ^ a b Nicholson, Dan H. “Botanical nomenclature, types, & standard reference works”. Smithsonian National Museum of Natural History, Department of Botany. Retrieved 17 November 2015. ^ Marshall, Stephen A.; Evenhuis, Neal L. (2015). “New species without dead bodies: a case for photo-based descriptions, illustrated by a striking new species of Marleyimyia Hesse (Diptera, Bombyliidae) from South Africa”. ZooKeys. 525: 117–127. doi:10.3897/zookeys.525.6143. ISSN 1313-2970. PMC 4607853. PMID 26487819. ^ “Plant names – a basic introduction”. Australian National Botanic Gardens, Centre for Australian National Biodiversity Research. Retrieved 17 November 2015. ^ de Candolle, A.P. (1867). Lois de la nomenclature botanique adoptées par le Congrès International de Botanique tenu à Paris en août 1867 suivies d’une deuxième édition de l’introduction historique et du commentaire qui accompagnaient la rédaction préparatoire présentée à la congrès. Genève et Bale: J.-B. Baillière et fils. ^ Weddell (1868). “Laws of Botanical Nomenclature adopted by the International Botanical Congress held at Paris in August 1867; together with an Historical Introduction and Commentary by Alphonse de Candolle, Translated from the French; Reprinted from the English translation published by L. Reeve and Co., London, 1868 (with three-page commentary by Asa Gray)”. The American Journal of Science and Arts. Series II, Volume 46 (63–74, 75–77). ^ Crépin, F. (1886). “Rosa Synstylae: études sur les roses de la section Synstyleés”. Bulletin de la Société Royale de Botanique de Belgique. 25 (2: Comptes-redus des séances de la Société Royale de Botanique de Belgique): 163–217. ^ a b McNeill, J.; Barrie, F.R. ; Buck, W.R.; Demoulin, V.; Greuter, W.; Hawksworth, D.L. ; Herendeen, P.S. ; Knapp, S.; Marhold, K.; Prado, J.; Prud’homme Van Reine, W.F. ; Smith, G.F.; Wiersema, J.H. ; Turland, N.J. (2012). International Code of Nomenclature for algae, fungi, and plants (Melbourne Code) adopted by the Eighteenth International Botanical Congress Melbourne, Australia, July 2011. Regnum Vegetabile 154. A.R.G. Gantner Verlag KG. ISBN 978-3-87429-425-6. ^ Frey, Jennifer K.; Yates, Terry L.; Duszynski, Donald W.; Gannon, William L. & Gardner, Scott L. (1992). “Designation and Curatorial Management of Type Host Specimens (Symbiotypes) for New Parasite Species”. The Journal of Parasitology. 78 (5): 930–993. doi:10.2307/3283335. JSTOR 3283335. ^ Hansen, Hans V.; Seberg, Ole (1984). “Paralectotype, a new type term in botany”. Taxon. 33 (4): 707–711. doi:10.2307/1220790. JSTOR 1220790. ^ Bauer, Aaron M. (2002). “Albertus Seba, Cabinet of Natural Curiosities. The Complete Plates in Colour, 1734-1765. 2001”. International Society for the History and Bibliography of Herpetology. 3. ^ Hume, Julian Pender (25 June 2007). “Reappraisal of the parrots (Aves: Psittacidae) from the Mascarene Islands, with comments on their ecology, morphology, and affinities” (PDF). 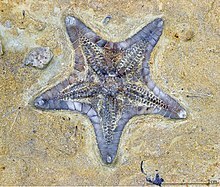 Zootaxa (1513): 1–76. ISSN 1175-5334. Retrieved 13 January 2011.